On November 9, 2017, LEAP Africa and Union Bank will recognize 40 Nigerians under 35 years for their creativity and innovation demonstrated for their social initiatives and impact at the 2017 Social Innovators Programme and Awards! 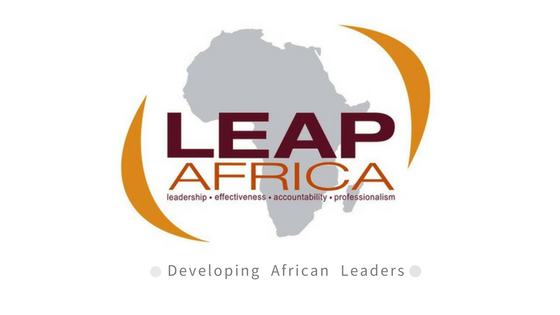 LEAP Africa’s annual fellowship programme empowers young change makers to expand social ideas into scalable social enterprises. The Social Innovator Programme and Awards (S.I.P.A) celebrates social innovators between 18 – 35 years, whose ideas and initiatives offer effective solutions to challenges in local communities across Nigeria. At the Awards the 2016/2017 class will graduate while a new class will be inducted into the Fellowship programme. The way we think about money has an extraordinary impact and the theme for SIPA this year – E.G.O is centred on redefying the purpose of money. As millennials get older, and wealthier, what strategies can empower them to make money while making an impact? The event will provide a basis for transforming our view of money from an end to itself to a means for improving the Nigerian economy and making it a better place. Join LEAP Africa, the Union bank team alongside a dynamic panel of speakers as they provide practical advice and demonstrate how money is a social tool. LEAP’s overview of SIPA will inspire attendees to push their purpose-driven ideas, while providing new strategies to meet the demand for positive impact. Listed below are our current Fellow who’s extraordinarily achievements during the Fellowship year will be recognized at the event. Youth from across the eastern part of Nigeria will also be provided with a platform for engagement and learning. The two-day workshop is designed to offer business skills and tools required for growth and sustainability. Training topics such as financial planning & management, innovation & marketing, systems & structures will be discussed. For registration and payment for the workshop, please click here . Application opens from October 6th – November 6th, 2017. Attendance at the Awards however is FREE… but registration is mandatory. Register here to attend. Join the conversation on twitter using the hashtag #LEAPSIPA2017. LEAP Africa on Priceless not Worthless! 13, Omorinre Johnson Street, Off Admiralty Way, Lekki Phase 1, Lagos.